Photograph taken circa 1927 in Łódź, Poland. 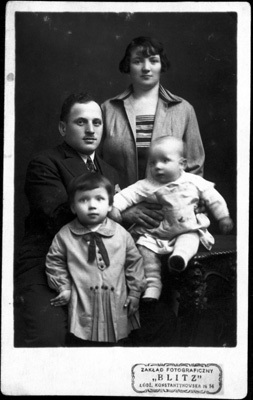 Rear, left to right: Noach Blas and Bleema (Goldwasser) Blas. Front, left to right: Guta Blas and Moshe Blas.